On a Spring morning in 1820, a 14 year-old Joseph Smith, Jr. ventured into the woods near his home in upstate New York to pray. He was seeking to know which of the many Christian churches he should join after witnessing the religious excitement and evangelism in the region in which he lived. In accordance with God's promise in James 1:5 to give "to all men liberally", Joseph believed God would tell him which church to join. In response to his sincere and vocal prayer, Joseph received a visitation from both God the Father and the Son: "One of them spake unto me, calling me by name and said, pointing to the other--This is My Beloved Son. Hear Him!" In the course of that conversation, Joseph was instructed to "join none of them, for they were all wrong; and the Personage who addressed [him] said that all their creeds were an abomination in his sight; that those professors were all corrupt; that: 'they draw near to me with their lips, but their hearts are far from me, they teach for doctrines the commandments of men, having a form of godliness, but they deny the power thereof.'" As a result of this experience, Joseph later recorded: "​I had found the testimony of James to be true — that a man who lacked wisdom might ask of God, and obtain, and not be upbraided." ​The original Gospel of Jesus Christ had been distorted through centuries of apostasy due to corruption, false doctrines, and the changing of ordinances. Although many Christian reformers throughout the centuries were inspired to courageously rise up in an effort to return to the original Gospel of Jesus Christ, they were not able to fully restore all truth. For more than two decades (1820-1844) following his 'First Vision', Joseph Smith received visitations from many heavenly messengers who tutored him in the principles of the Gospel of Jesus Christ, and guided him in its Restoration. The purpose of these efforts was to bring the Gospel to all the world, establish Zion, and to enable all of mankind to become redeemed from the Fall, receive of Christ's fullness by entering into His presence, and obtain a promise of Eternal Life, just as Joseph Smith and other prophets throughout the scriptures had experienced. ​​Revelations to Joseph Smith during this period included information about proper authority and understanding of priesthood, covenants, and the performance of sacred ordinances, as well as clarifications about many doctrines. These efforts also led to the coming forth of new scripture, such as the Book of Mormon, Doctrine & Covenants (including the Lectures on Faith), a re-translation of many portions of the Bible, and a translation of the Book of Abraham. In addition, many of Joseph Smith's sermons were recorded, containing much truth, instruction, and prophecy. During this time, missionaries were sent to preach the Gospel, converts were baptized, gifts of the Spirit were manifested, branches of the church were organized, people were gathered together, the Kirtland temple was built and dedicated, and the foundations for a future Zion were laid. ​​There is an opposition in all things (2 Nephi 2:11). In order to counter the abundance of light and truth poured out during this period of the Restoration, an equal proportion of darkness and falsehood was also advanced by the adversary. History is incomplete and it can be difficult to fully identify and recover the root causes and outcomes of events in the early history of Mormonism. Certainly, opposition to the Restoration of the Gospel came from outside of Mormonism, but what is often overlooked is the opposition that came from within, which was by far more damaging and detrimental to the Lord's efforts in restoring His Gospel through Joseph Smith. The adversary played upon the pride, lusts, envy, unrighteous aspirations, and jealousy of the early latter-day saints, leading them into contention, jarrings, anger, varied sins, and belief in false spiritual manifestations. False teachings were attributed to Joseph and many were led astray. Because of these experiences, once loyal and faithful believers in the Restoration turned from the light and truth they had received and became bitter enemies of those who still believed, especially Joseph Smith. ​Chief among these aberrations was the practice of polygamy or 'spiritual wifery'. The only teaching from Joseph Smith on this topic is Doctrine & Covenants (D&C) Section 132, which was canonized in its current form in 1876, 32 years after his death, and was a copy of a copy of a lost original. Yet Joseph and his brother Hyrum both taught against this practice on numerous occasions, including during Joseph's final sermon in Nauvoo a month before his death: “What a thing it is for a man to be accused of committing adultery, and having seven wives, when I can only find one.” (History of the Church, 6, p. 408-412). During Joseph's lifetime, those who practiced polygamy faced church discipline. The practice was decried by both male and female church leaders in Nauvoo. At the same time that Section 132 was added to the D&C in 1876, Section 101, entitled "On Marriage", was removed, which clearly stated that marriage was between one man and one woman. Nearly every accusation or testimony regarding Joseph's teaching or practice of polygamy emerged years or decades after his death. Emma always denied that Joseph practiced polygamy. "Wherefore, my brethren, hear me, and hearken to the word of the Lord: For there shall not any man among you have save it be one wife; and concubines he shall have none; For I, the Lord God, delight in the chastity of women. And whoredoms are an abomination before me; thus saith the Lord of Hosts." Joseph and many of his faithful associates suffered great persecutions and difficulties as a result of the challenges that arose internally within Mormonism, resulting in their frequent imprisonment, loss of housing, children, farms, and possessions, as well as many other deprivations. The various conspiracies and enemies of Joseph Smith and the Restoration of the Gospel of Jesus Christ culminated in his and Hyrum's murders on June 27, 1844 in Carthage, Illinois. "You cannot fill the office of a prophet, seer, and revelator; God must do this. You are like children without a father, and sheep without a shepherd. You must not appoint any man at your head. If you should, the Twelve must ordain him. You cannot appoint a man at your head;...You cannot take any man and put him at your head; you would scatter the saints to the four winds. You would sever the priesthood. So long as we remain as we are the heavenly head is in constant cooperation with us; and if you go out of that course, God will have nothing to do with you...I again repeat, No man can stand at our head except God reveals it from the heavens.” (August 1844 edition, The Millennial Star, 25, p. 231). At the October 1844 General Conference, it was moved to "uphold Brigham Young [as] the president of the quorum of the Twelve" (Times and Seasons, 5, p. 692), which was seconded and carried unanimously among the congregation. Young added: "Let no man presume for a moment that his [Joseph's] place will be filled by another; for, remember he stands in his own place, and always will; and the Twelve Apostles of this dispensation stand in their own place and always will, both in time and eternity, to minister, preside and regulate the affairs of the whole church." (Times and Seasons, 5, p. 618). Additionally, Young told the congregation: "If you don't know whose right it is to give revelations, I will tell you. It is I...…Did Joseph ordain any man to take his place? He did. Who was it? It was Hyrum, but Hyrum fell a martyr before Joseph died. If Hyrum had lived he would have acted for Joseph." (Times and Seasons, 5, p. 683). No one living at that time was ordained to take Joseph's place and the belief was that God would make His will manifest to fill that position. The Nauvoo temple was only half completed at the time of Joseph's death. Brigham Young encouraged use of the temple in the winter of 1845-46 for ordinances, including baptisms for the dead, the endowment, sealings, and adoptions. However, the temple was only in operation for less than three months. Although most of the saints left Nauvoo, beginning in February 1846, a small crew remained to finish the temple's first floor with pulpits and benches, and it was dedicated on April 30, 1846. All remaining saints were driven from Nauvoo in September 1846 when the temple was abandoned in its incomplete state. The temple was first destroyed by fire in 1848, then a tornado in 1850, and then all remaining walls were completely demolished by 1865. Conversely, the Kirtland Temple remains standing to this day. ​As the saints journeyed Westward, the wagon trains halted at Winter Quarters, Nebraska. It was in 1847 that Brigham Young took his leadership of the church a step further, nominating himself to become the president of the church, separate from the Quorum of the Twelve. Although there was some opposition from fellow Apostles to this maneuver, Young prevailed and a new First Presidency was established in December of 1847. "Accordingly, Brigham Young was nominated to be the First President of the Church, and he nominated Heber C. Kimball and Willard Richards to be his two counselors, which nominations were seconded and carried without dissenting voice…[said Young:] Nothing more has been done today than what I knew would be done when Joseph died." (Winter Quarters, 1847, Millennial Star, 10, p. 114-115). Yet this move was contrary to the previously quoted statements of Brigham Young himself, who said that such actions would "sever the priesthood" and lead to God having "nothing to do with you". Although D&C 107:22 would appear to lend some support for Young's actions ("Of the Melchizedek Priesthood, three Presiding High Priests, chosen by the body, appointed and ordained to that office, and upheld by the confidence, faith, and prayer of the church, form a quorum of the Presidency of the Church. "), there was no revelation from God in selecting the president as stipulated in D&C 102:9 ("The president of the church, who is also the president of the council, is appointed by revelation, and acknowledged in his administration by the voice of the church.") as well as by Young's own words in August 1844. Furthermore, the Lord had already provided a law by which His revelator would be chosen: "O hearken, ye elders of my church, and give ear to the words which I shall speak unto you. For behold, verily, verily, I say unto you, that ye have received a commandment for a law unto my church, through him [Joseph Smith] whom I have appointed unto you to receive commandments and revelations from my hand. And this ye shall know assuredly—that there is none other appointed unto you to receive commandments and revelations until he [Joseph Smith] be taken, if he abide in me. But verily, verily, I say unto you, that none else shall be appointed unto this gift except it be through him [Joseph Smith]; for if it be taken from him he shall not have power except to appoint another in his stead. And this shall be a law unto you, that ye receive not the teachings of any that shall come before you as revelations or commandments; And this I give unto you that you may not be deceived, that you may know they are not of me. For verily I say unto you, that he that is ordained of me shall come in at the gate and be ordained as I have told you before, to teach those revelations which you have received and shall receive through him whom I have appointed." (D&C 43:1-7). This was not the process by which Young became the president or prophet of the church. Therefore, contrary to popular belief, Young was not chosen by God by divine appointment to serve as the president or prophet of the church to succeed Joseph Smith. Additionally, Joseph Smith did not select Young to lead the church, nor did he pass on keys, anoint, ordain, or appoint him to be a "Prophet, Seer, and Revelator" prior to his martyrdom. Furthermore, Brigham Young and his councilors were not ordained to their positions; they were merely voted upon by the people in a pragmatic and practical way; said Young: "A person was mentioned to-day who did not believe that Brigham Young was a Prophet, Seer, and Revelator. I wish to ask every member of this whole community, if they ever heard him profess to be a Prophet, Seer, and Revelator, as Joseph Smith was?...Who ordained me to be First President of this Church on earth? I answer, It is the choice of this people, and that is sufficient." (April 7, 1852 discourse -- Millennial Star, 16, p. 442). [Note: the first church president to be ordained to his position was Lorenzo Snow in 1898 (54 years after the death of Joseph Smith) when 14 men laid hands on his head (12 apostles and 2 councilors). Thus, Presidents Young, Taylor, and Woodruff were never ordained as president of the church by the laying on of hands, but only sustained by a vote or "the voice" of the people]. Young never quite felt comfortable in Joseph's role: “The brethren testify that brother Brigham is brother Joseph's legal successor. You never heard me say so. I say that I am a good hand to keep the dogs and wolves out of the flock... I do not think anything about being Joseph's successor." (Journal of Discourses, 8:69). Similarly, Young said: "I am not going to interpret dreams; for I don't profess to be such a Prophet as were Joseph Smith and Daniel; but I am a Yankee guesser.” (Journal of Discourses, 5:77). Additionally, the minutes from the October 1857 general conference include the following: "After putting the motion for himself to be sustained as "Prophet, Seer, and Revelator," the President remarked: I will say that I never dictated the latter part of that sentence. I make this remark, because those words in that connection always made me feel as though I am called more than I am deserving of. I am Brigham Young, an Apostle of Joseph Smith, and also of Jesus Christ. If I have been profitable to this people, I am glad of it. The brethren call me so; and if it be so, I am glad." (Journal of Discourses, 5:48). Fast forward to today, where Young's resolution to the "succession crisis" has evolved into a legalistic "succession process" whereby the president of the Quorum of the Twelve Apostles becomes the president of the church upon the death of the current church president ipso facto, and is given the appellation of Prophet, Seer, & Revelator. However, this is not a process based on revelation as is clearly mandated by the D&C. And although Brigham Young never claimed to be equal to Joseph Smith, the modern LDS church teaches that the current "living Prophet, Seer, & Revelator" possesses all the keys of the priesthood and is equal to, if not more important for our day than, than Joseph Smith in terms of priesthood keys, revelations, and authority. Unfortunately, the Restoration of the Gospel has not expanded unabatedly since the death of Joseph Smith. The succession crisis is a prime example of how Mormon history from 1844 onward has unfolded until today. Although much of the membership believes that decisions of church leaders and its councils are synonymous with divine will, most all changes to church doctrine, ordinances, and policy have not been accompanied by divine revelation and have mostly been made for reasons of convenience, to appease public opinion, or for financial and tax benefits. The goal of preparing for and achieving Zion is more elusive than ever, and is nearly forgotten. There are no revelations to accompany the multitude of changes in the ordinances, such as baptism (compare 3 Ne 11:25 to D&C 20:73), sacrament (no wine or kneeling; administration by Deacons and Teachers is opposed in D&C 20:58), or temple endowment, sealings, washings, and annointings. Scriptures have been altered (hundreds of edits to the Book of Mormon and D&C) or rejected entirely (Lectures of Faith, which was the "Doctrine" portion of the 1835 edition of the D&C; also the original Section 101 "On Marriage"). Priesthood functions, such as the Presiding Patriarch, have been eliminated. Pinnacle doctrines such as Calling and Election, the Second Comforter, the Law of Consecration, Zion, Gifts of the Spirit, and the meaning of temple ordinances are now relegated among the "mysteries" of the gospel, which are too taboo to speak of, even in the temple itself. Doctrines and practices once taught by church leaders following Joseph Smith as essential for exaltation or based on God's will, such as polygamy, denying black men priesthood, and blood atonement, have been rejected by later leadership. There are no new or ongoing revelations that pertain to our eternal salvation, but rather only policy changes that are not based on revelation, which are based on strategic business model projections, focus groups, public opinion polling, and advice from content experts and consultants, many of whom are paid employees of the church. 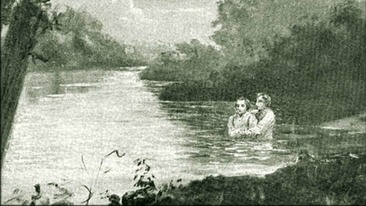 Many believe that the Restoration of the Gospel has continued uninterrupted since the time of Joseph Smith and that whichever version of Mormonism they adhere to is the current and only possessor of the same authority that Joseph Smith possessed, that it will never be taken from off the earth, nor can they ever be led astray by its leadership because the Lord would not permit it. They believe that signs such as growth in church membership, wealth, stability, real estate holdings, temples, and meeting houses are evidence that the Lord is supporting that particular Mormon denomination. Each of these Mormon denominations has a prophet who declares God's will to its members and is the only possessor of all the keys of the priesthood. On the other hand, there are many who have realized (or who are beginning to realize) that something changed drastically following the deaths of Joseph and Hyrum Smith. They see the contradictions in church history compared to how God has dealt with His people in the scriptures, including the role of Prophets, Seers, and Revelators. They have asked themselves questions such as: "What if the Restoration of the Gospel ceased following the deaths of Joseph and Hyrum? What if the current church has drifted into apostasy? Is that a possibility? If so, why would God abandon us? What about all the good things the church does in the world? What about the miracles I've seen in my life because of my membership in the church?" These are important questions. Is it possible that the church has served as a vehicle for you to serve others, develop and act in faith, perform ordinances, and learn to live the Gospel and be more Christlike? Is it possible that God continues to work with individuals, to bring them salvation and exaltation, because of their faith and personal righteousness, regardless of what church they belong to? Some may ask: "What about the prophecy that the Church of Jesus Christ of Latter-day Saints will never fall away again?" Where is that prophecy? There is a prophecy that the gospel will fill the whole earth (Joseph Smith quoting Daniel) and another that the Aaronic Priesthood will never be taken away (D&C 13:1). What if both of those statements are true, but do not preclude the possibility that all the denominations of Mormonism could drift into apostasy? These individuals believe in holding on to their faith in God and Christ, their beliefs in the Restoration of the Gospel of Jesus Christ through the Prophet Joseph Smith, including the Book of Mormon and his revelations recorded in the Doctrine & Covenants and other sources, as well as the ordinances, as originally given by the Lord to Joseph Smith. These individuals have sensed and awakened to an understanding that the Restoration of the Gospel of Jesus Christ as currently practiced in the denominations of Mormonism has dwindled considerably since the days of Joseph Smith. There are many thousands of current and former members of various LDS or Mormon denominations who believe that the heavens are opening again and that the work of the Restoration of the Gospel of Jesus Christ has recommenced. It has now been four generations since the deaths of Joseph and Hyrum Smith. People have been searching for answers to troubling contradictions in church history. This has led many to distance themselves from reliance on church leaders or belief that the church can save them. They have turned to the Lord as their only means of salvation, begun to repent of their idolatry, and focus their lives in living a simple and devoted faith to Jesus Christ, guided by His Holy Spirit. They have begun to remember the doctrines and practices of the Restoration that are essential for salvation. As a result, a movement to return to the doctrinal origins of Mormonism, which includes a focus on the Doctrine of Jesus Christ: repentance, belief or faith, becoming as a child, baptism or re-baptism, and reception of the Holy Ghost. While some of these individuals remain active members of their churches, others have taken a step back from church activity, voluntarily removed their names from church records, or been excommunicated for 'apostasy' after openly expressing their beliefs and viewpoints. There is one among the adherents of this movement, named Denver Snuffer, who has written and spoken extensively on these topics. His writings have influenced thousands to come unto Christ and remember the efforts of Joseph Smith in restoring Christ's Gospel. These individuals are seeking out and studying Joseph Smith's words and teachings. They have rediscovered for themselves forgotten scripture, such as the Lectures of Faith. They are contrasting what these primary sources teach them with what they have been taught by one of the many Mormon denominations throughout their lifetime. Does that mean there is a new church? No. The great stumbling block of the Gentiles is that they seek to build up churches (2 Nephi 26:20) and establish orthodox religions (LDS Temple narrative, pre-1990). Even with the best of intentions, all churches and religions are easily hijacked by the adversary, who, through corruption and temptation, can turn them into bastions of control, and corrupt the ordinances and doctrine. The preservation of the Restoration is merely a belief. A belief that cannot be controlled, as it is held within the minds and hearts of its adherents. However, this belief is shared by many. They are much like the early disciples of Christ or the early Latter-day Saints who gathered together in small, informal fellowships in each others' homes. In such settings, they study and discuss the scriptures and pray together. They administer their own tithes and offerings to the poor among them through inspiration and as described in the scriptures. They love and serve one another and strive to be one. Additionally, these individuals are participating in priesthood ordinances and service as in the days of the early Latter-day Saints. Many of these individuals have been baptized or re-baptized in "living waters" according to the words of the ordinance as originally given by Christ Himself to His disciples as recorded in 3 Nephi 11:24-26. Baptism has always been a sign of a new era of faith, such as with John the Baptist or Alma. Men bless and administer the sacrament with their families using bread and wine, the true emblem of the blood of Christ as required by the scriptures and recognized throughout the world. Men performing priesthood ordinances and service outside of their families are required to have a certificate indicating their worthiness to do so, sustained and signed by at least seven women, including the man's wife if married. Men and women participate in performing healing blessings just as in the early days of the Restoration. Although such activities are counter to current church practices, and would likely be criticized as "apostate", they are entirely consistent with and supported by scripture, as well as the practices advocated by Joseph Smith. On the contrary, changes in the ordinances and practices of current Mormon churches are without revelation and are largely not supported by scripture. These individuals are not trying to cause hurt or problems among their families or friends. However, they realize that their newfound convictions will likely cause friction as they appear to contradict or disagree with long held beliefs and traditions. It must be realized that such individuals are merely trying to focus their love and faith on the Lord, His Gospel, and His doctrine, instead of on men, institutions, or on teachings or traditions that they no longer believe in. These individuals are pruning back their faith to focus on the plain and simple Gospel of Jesus Christ, whose Restoration began with Joseph Smith, yet was interrupted at the time of his death. They love the Lord and His Gospel, and seek to emulate Him in all ways, and they also revere the labors of the prophet Joseph Smith and endeavor to abide by what he taught and revealed. The Restoration of the Gospel of Jesus Christ was not complete at the time of Joseph's death, nor is it today. It is only by first remembering the Restoration by living and abiding by what was once revealed, that more can expect to be received. ​Do these things matter? Ask God for yourself, for he "giveth to all men liberally, and upbraideth not; and it shall be given him." (James 1:5).